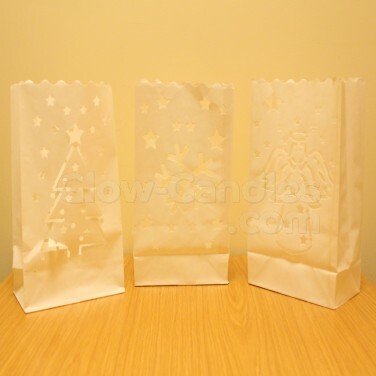 Simple but effect Christmas candle bags allow you to create effective festive displays with minimum fuss. 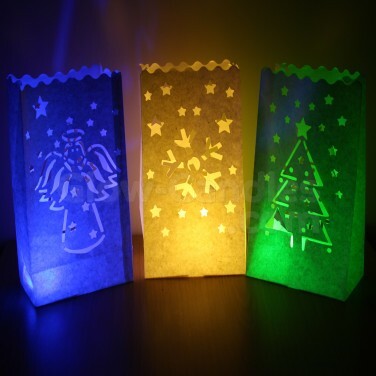 Give a more contemporary feel to your Christmas decorations with simple but effective Christmas candle bags. 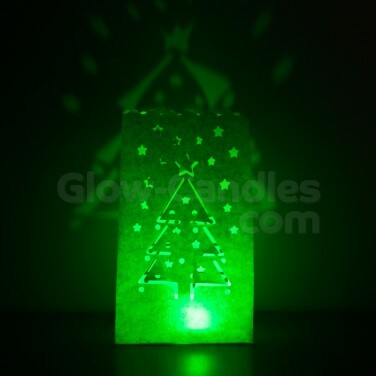 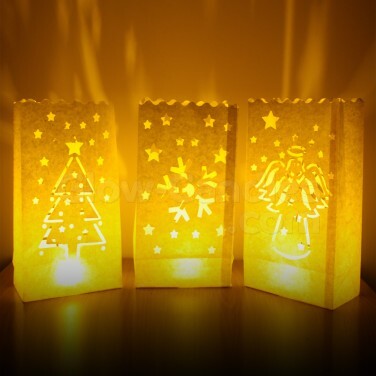  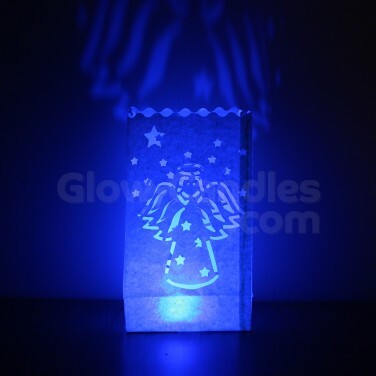 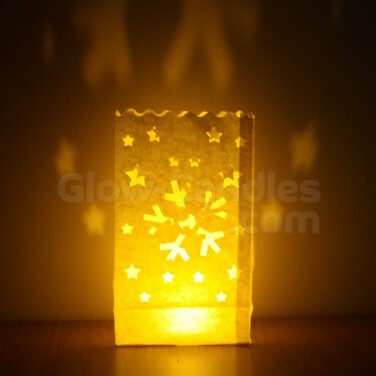 Packs of three paper candle bags with angel, snowflake and Christmas tree designs, these easy decorations simply take a single tealight candle or LED tealight candle that shines through the cut out design and the body of the candle bag for a beautiful warming glow.